Sandy Beach Reserve in Perth is a spacious well grassed nature reserve on the banks of the Swan River. The park has a significant number of woods that provide sufficient shade to those who visit. A wooden jetty is built by the river that provides ample amount of banks for fishing. Needless to say, fishing enthusiasts will find this place as a perfect weekend treat on a sunny day. Black Bream, Mulloway, Flathead and Yellowtail Grunter are some of the species found in abundance here. Public toilets, restrooms, parking lots are provided here. There is a picnic area with Barbeque grills. Several social events and parties are organized here on the open grassed and shaded areas of the park. Enjoy your perfect weekend at this park. Want to plan a DIY trip? Use Bassendean trip planner for the same. Add accommodation and hotels in Bassendean that suit your budget including the most recommended ones like Baileys Motel, Toorak Lodge and Comfort Inn Bel Eyre. Draft the best Bassendean vacation packages using ideal templates offered by TripHobo. Also explore how to reach Bassendean on the go! Good place for picnic..not a beach but there is access to swan river, has outdoor bbq, toilets and children play ground. Big open grass field for all to run around, even your pets so bring them along. Very close to Bassendean shopping centre. 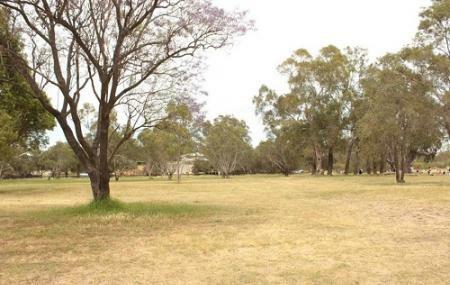 Riverside Park area suitable for walking dogs, picnics and bbqs. Saw some people fishing. Nice spot that seems a little popular already. Great spot for a paddle... swim . Or dog walk. Has a large grassed area with play ground... lots of trees for shade... barbecues... toilets and a shower. Dogs allowed. Nice beaches on the rivers edge. Lots of rowers go past... good spot for fishing. So beautiful place to catching up with the family and friends.